Home Smartphone Review What do I do if my smartphone has fallen into the water? Nowadays, more and more manufacturers are deciding to protect their devices against moisture or liquids. Whether officially with IP67 or IP68 certifications, depending on the level of resistance to water and dust, or unofficially, through adhesives and rubber gaskets, the manufacturers themselves think more and more that every time we use the mobile in environments more varied, increasing the risk of being damaged. The iPhone 6s, for example, included design changes that give it greater resistance to water, but it was with the arrival of the iPhone 7 when Apple certified with IP67 protection the resistance to water and dust. 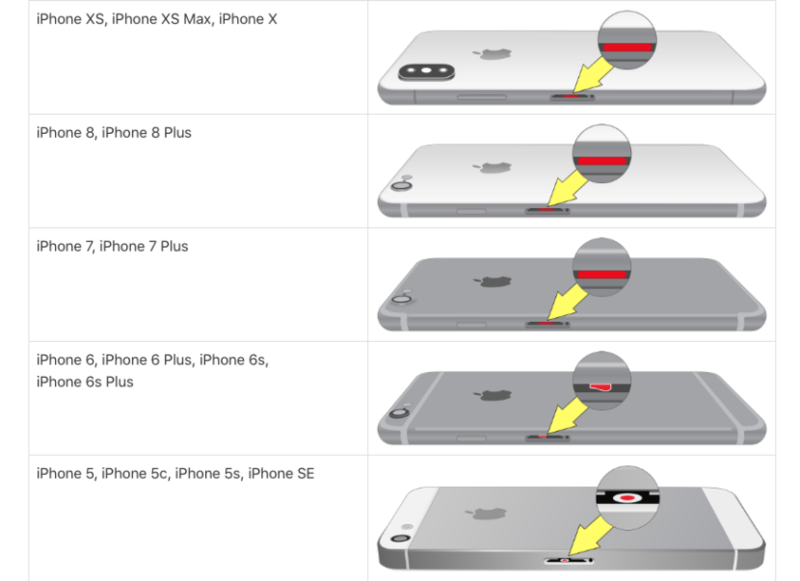 The latest XS and XS Max models already have IP68 protection. 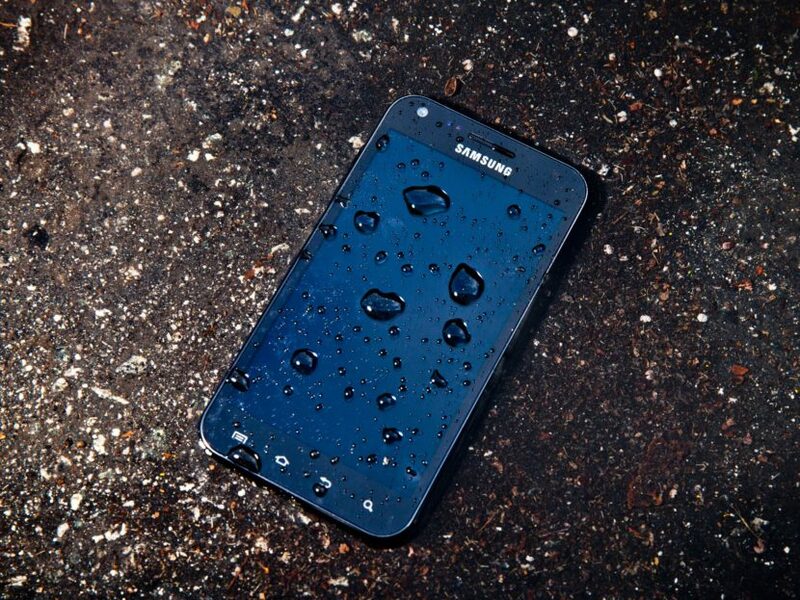 But, regardless of the protection that our terminals have, what should we do if our smartphone is wet? The worst moment is when our smartphone falls into the water or gets wet. The panic will flow in abundance, and it is not for less. An electronic device, whether it has IP certification or not, can stop working at the time it gets wet, but we always have to at least try to extract that liquid and, above all, the humidity generated inside the terminal. The most widespread method is none other than the classic one of rice. Then we will explain it in detail, focusing on the case that the liquid that has wet our phone is water. We turn off the phone immediately. Do not check if it works at that time, because the problem may worsen until the final death of the terminal. 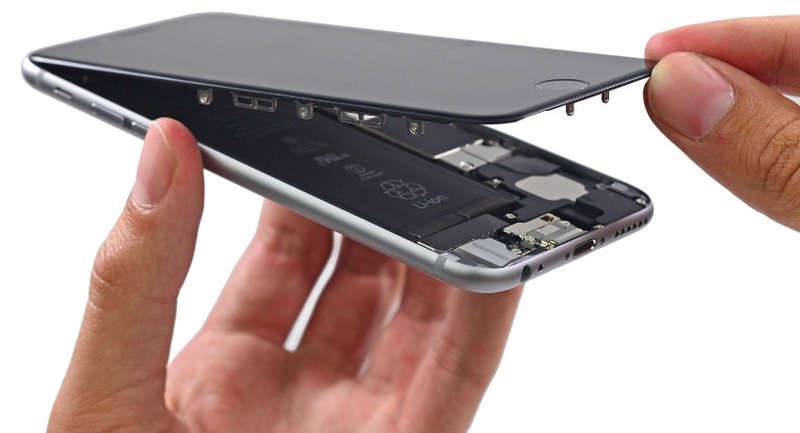 We remove the SIM card and, if available, the battery cover and the battery itself. We dry the terminal externally using a soft cloth that does not scratch. And here comes the heart of the matter: we have to dip the device in a bowl with rice. 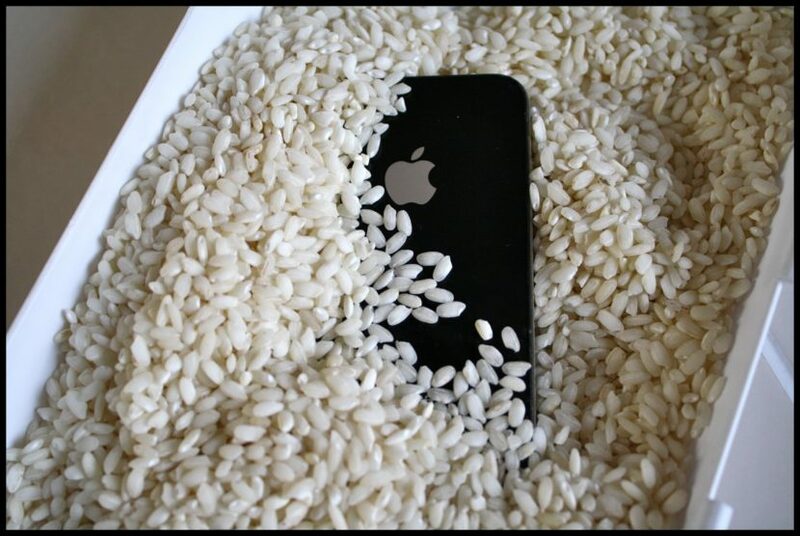 Of course, the method will be much more effective if the rice covers the terminal without leaving anything to the air. Now we can only wait until the moisture absorbing power of rice does its job, and take the humidity inside the mobile. Remember that it is very important not to turn on the phone except in case of extreme need. It is advisable to change the rice at least every 12 hours so that it does not lose its absorption power. After making this process the phone could come back to life, but the most normal thing is that it has been damaged internally, losing some functions. Water sweeps through where it passes, and elements such as buttons, camera and especially the speaker, will suffer their passage and not work properly, perhaps for a while, or even definitely. But at this point, and if you have partially saved the phone, we can always try to save the data inside and already decide what to do. Although at this point we have to distinguish between fresh water and salt water, because the salt of the latter has a great corrosive power, affecting certain metal parts of the interior of the mobile, such as certain connectors or even the base plate, so this process does not it will work with the same efficiency. From lost to the river, and with the device damaged, any attempt to revive it is good, although in this case we would have to repeat the last step several times to remove as much moisture as possible and, above all, act quickly to avoid greater evils. My terminal has gotten wet and does not turn on, is it broken? We may seem insistent, but the most important thing to remember is that we must turn off the terminal as quickly as possible, if it continues working, or not try to turn it on if it has been turned off. At such a time and with so much tension we may not remember this detail, but it can be the difference between saving our mobile phone or taking it to certain death. Remember, electricity and water are not very good friends, so it is preferable to heal in health. But in case that after getting wet and carrying out the rice method still does not work or without lighting, it is most likely that it has suffered serious damage, but we can check if we have been lucky and it has not been like that with a little trick. If the screen does not work, we have to put ourselves at the worst. 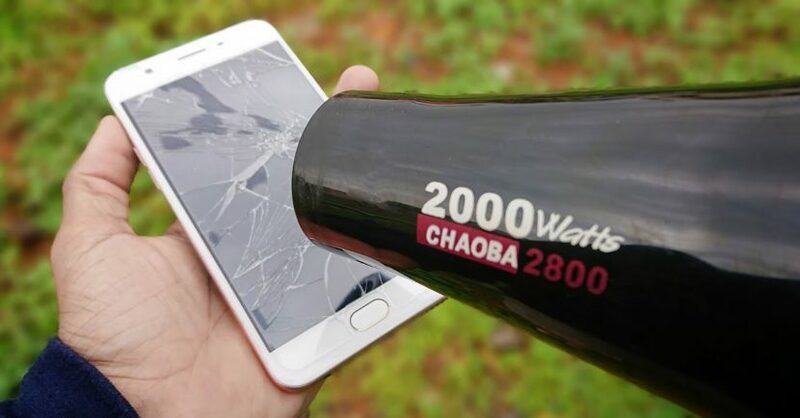 If after getting wet the screen does not turn on and we do not get any response from the display, we can go thinking about changing the phone, although we can still do some checking. It is as simple as looking for the way to receive some stimulus from the mobile. The easiest option is for someone to call us, but if you have a PIN code or have a silent phone, it will not sound or do anything. The next step would be to connect it to the computer. If this recognizes the device, at least we know that it works, although we cannot see anything through the screen. In this case, it is up to each one to decide what to do with the device. The option of the official service is always present, taking into account that the invoice, in case of having repair, will be large. Otherwise, if you are able, you can try to repair it yourself, looking for the pieces and following tutorials that you find on the web. Can I dry a wet device with a dryer? We can think that the hot air will make the water evaporate more quickly inside our mobile. But keep in mind that the hot air coming out of the dryer has a higher temperature than a mobile phone can handle in normal conditions. We can burn certain vital parts of the mobile and then, create irreparable damage. While it is true that some dryers allow air to be expelled at room temperature, it is also not advisable, because in any case we could expand the water inside the device, making it reach more places and finally, damage components that, unknowingly, were still healthy. So let’s forget about the dryer, and stay true to the rice method. How do I repair my wet device? Each case is different, so we will have to make a diagnosis to know what has been broken. We do not lose anything by repeating the rice method one more time and see if we are lucky, but if we have already repeated it a few times, the next step is to try each feature of the phone to check what works and what does not. If the failure is general (for example, it does not turn on or respond to anything), the case is more complicated and we will have to start thinking about a new mobile phone. But if we see that the camera is tarnished and does not focus well, the ideal would be to look for a tutorial of the hundreds that are in the networks, buy the parts from a reliable and reliable supplier and launch ourselves to repair it ourselves. Of course, we must take into account that the tutorials that we have available on specialized pages such as iFixit are made by professionals, and aimed at people with basic notions of electronic repair. The second is that, obviously, we will lose the guarantee, although having wet the device this will be canceled directly, as explained below. Can I hide that my device has gotten wet? The answer is very clear 99% of the time: no. Of course, manufacturers are always one step ahead of the users, and to avoid problems, they provide mobile terminals with liquid contact indicators. They are only small white stickers, which turn a reddish color when they come into contact with a liquid. Keep in mind that in some cases, only contact with moisture, such as in the bathroom during a shower, may change color, even without having wet the terminal. So, undoubtedly, they are very sensitive. It is not the most usual, but that possibility exists. If we observe that the indicator has turned a reddish color, it would be a waste of time to try to cover the manufacturer’s warranty, since under the conditions it clearly specifies that, even in IP-protected devices, the guarantee is invalidated if it is wet, alleging misuse of it. Let’s be honest. Nobody likes that your beloved mobile phone that has cost so much to get wet accidentally, even if it is a terminal with IP67 or IP68 waterproof certification. If it gets wet, even if it keeps working, the best option is to turn it off, follow the rice method and wait. The key is patience. In case it still does not work after this time, we will have to find out the cause. If we find it clearly, we can decide whether to take it to the technical service or repair it ourselves. In the event that nothing works, it is best to go looking for a new terminal as a substitute. fallen into the water, smartphone. Bookmark.